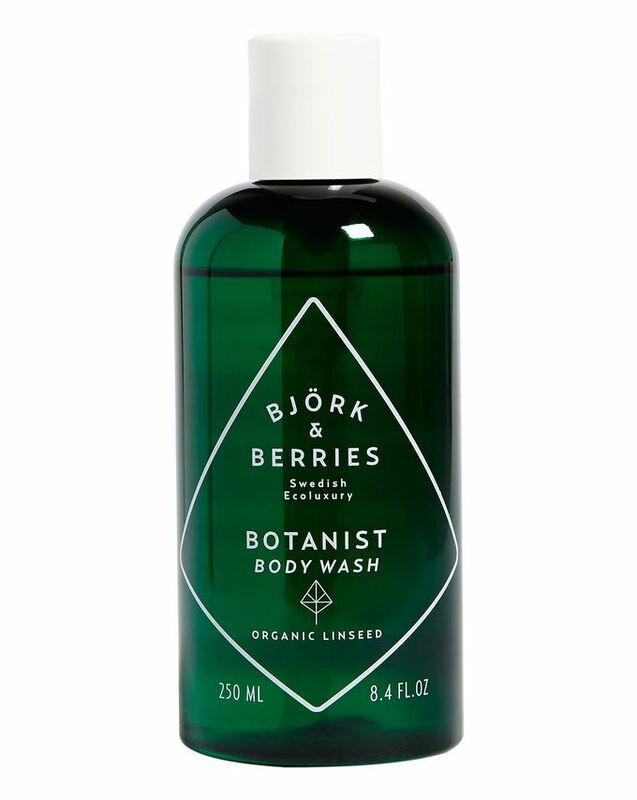 Inspired by deep Swedish forests and wild, rambling botanical gardens, this gently lathering body wash features an invigorating scent of fresh green apples and blackcurrant leaves, combined with woody undertones of birch and vetiver. The skin-friendly pH formula is free from dehydrating sulphates and enriched with organic oils to impart moisture as you cleanse. 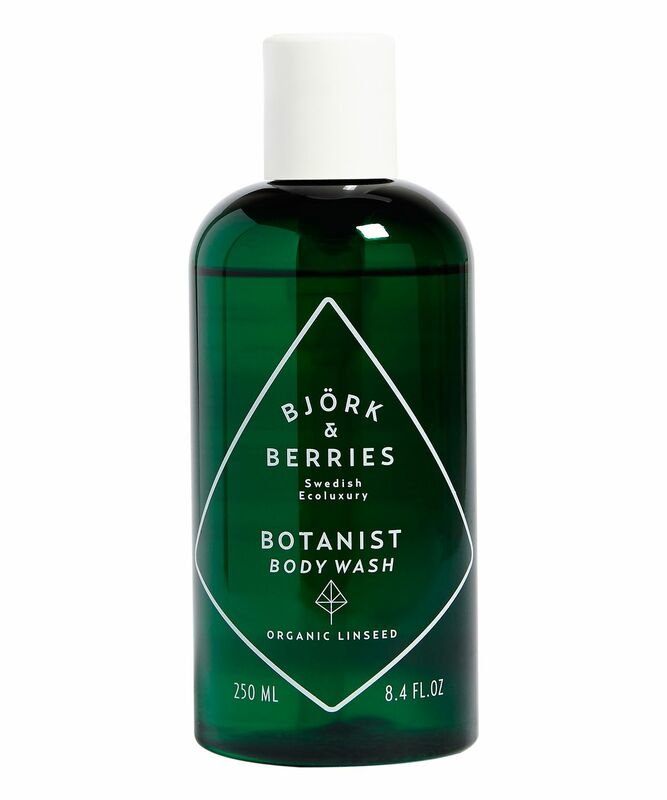 Transform your shower routine into a Swedish delight and treat your skin with Bjork and Berries’ Botanist Body Wash. The soft, gently lathering formula has a skin-friendly pH and is crafted from natural, organic and 100% vegan ingredients, carefully combined in Sweden. Free from dehydrating sulphates, it’s enriched with organic linseed oil and birch water to impart nourishing moisture as it cleanses the skin. The heavenly scent is inspired by the deep forests and wild, rambling botanical gardens of Sweden – an invigorating blend of fresh green apples, blackcurrant leaves and smoky black tea meets rich, woody undertones of birch, vetiver and patchouli to make for a refreshing, alluring fragrance. Use in shower or bath every day for a full body cleanse, rinse off with water.